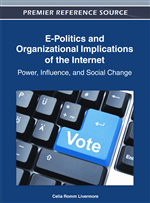 The convergence of television with internet technologies has further upheld the participatory role of Internet in modern political communication. The adoption of Internet communication regulations in television programs has created a new hybrid model of “Internetized Television” which has the potential to strengthen citizens’ voice in political life. In this research paper, an extensive empirical study of certain variables relating to participation in internetized television was conducted, focusing, in particular, on the impact of this new medium during the 2007 national elections in Greece, when a specific broadcast was aired on TV, namely the “Skai-YouTube Debate.” Based on the results of our survey, an in-depth theoretical discussion of the political and communicative challenges imposed by this form of internetized television was conducted. In order to provide a better insight into the theoretical issues that concern our research, the literature review has been divided into three parts. First, the promising role of the Internet in political participation is analyzed and, then, the emergence and characteristics of Internetized television are commented upon. The final part of the literature review refers to the role of televised political debates, as the broadcast herein analyzed is principally a television debate.